A Selected is an interesting career point for any poet, especially one as carefully excellent as Judith Beveridge. It is a chance to look back and then keep moving, unlike the respectful entombment of a Collected. 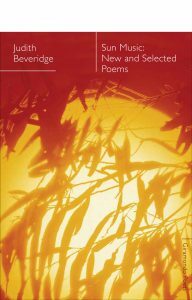 There are enough new poems in this generous volume to have been a stand-alone book, but Beveridge is grasping the moment to take stock. She is also giving back, with a generous, pedagogical introductory note about her motivations and methods. She speaks of crippling shyness around humans as a young girl: ‘the natural world didn’t make demands on me to speak to it, so I found much solace and quietude there’ (xiii). 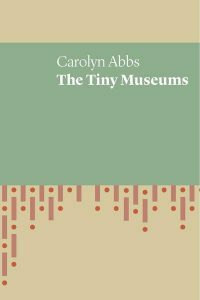 She categorises herself as both lyrical and dramatic poet and stakes these two positions: the exterior poet, reporting, and the interior poet, inhabiting. Both are strongly connected by observation and imagination. She also, clear-eyed, positions herself in the field of Australian poetry, citing colleagues, influences and expressing sincere gratitude. 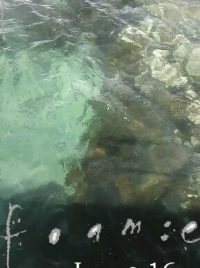 the sea itself is locked. She hasn’t lost the ‘inwrought gold’; it now appears further down, contrasted with ‘shadowed light’. The re-structure has done the poem a service, because the original long lines had to be turned on the page, which damaged the tripling weave. 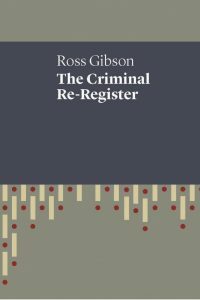 Beveridge’s selections are in their chronological order of publication, except for one: ‘Whisky Grass ‘(107), which now comes after ‘Woman and Child’ (105) instead of just before it. This is a small detail, but Beveridge is all about small details. Acknowledging this sent me to the end poem almost immediately, followed by the first poem, and then the title poem, treating them like breadcrumbs. She didn’t disappoint. The first poem is the eponymous, regularly anthologized ‘The Domesticity of Giraffes’ (3), published in 1987, with its langorous, long-legged ‘wire-cripple’ in ‘the stained underwear of its hide’, trapped in zoo confinement. The poet is present as a source of empathy, thinking ‘of her graceful on her plain’ in another, liberated life. Flip to the end – where we’re brought up to the present day, or at least the year of publication – and we encounter one of the few personal poems in the volume, meditating on the science of pain, in ‘As Wasps Fly Upwards’ (229). She tells us that she’s ‘reading about entomologist, Justin Schmidt,’ and his ‘five-point Sting Pain Index’ as well as a study about the kind of things that help people ease ‘the ferocity of pain’. Ostensibly a meditation on how death will come to her – at book’s end – it is also echoing, book-ending, the opening discomfort of the giraffe, endured ‘hour after bitter hour’ (4). It asks the questions that run through so many of her poems, especially the ones about humans who live basic lives of poverty, service and devotion: what is your/their/our strategy to overcome pain? How do we sustain ourselves? ‘I see nature … as a source of transformation and redemption,’ says Beveridge in her Author’s Note (xvi). She also sees language and writing in the same light, and brings to every poem a rigorous, empathetic quest to connect everything that is alive with the reader, to convince us of our own interconnectedness. She ‘holds each clear spill / with equality’ (67). A Selected allows us, the readers, to hold in one hand a distillation of all that is good – so far – of a poet, with the hope of more in the future. The new poems are love songs to landscape, memory and culture, gaining the grit of encroaching age. There is no doubt that while Beveridge’s overarching questions hang heavy for us, the answer is clear for her: poetry. Caren Florance recently completed a practice-led PhD on material collaborations with poets. Her work connects diverse forms of print culture, through the use of letterpress and other textual technologies. She works at the University of Canberra and the ANU School of Art + Design, Canberra. 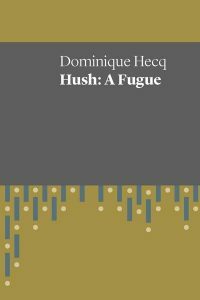 Her latest books are poetry collaborations with Angela Gardner (The future, un-imagine) and Melinda Smith (1962: Be Spoken To), both through Recent Work Press, 2017. Her next book, Lost in Case, will be published by Cordite.